Everyone experiences anger from time to time. It is a healthy emotion, normally experienced by anyone. However, it can quickly become unhealthy and detrimental if not understood and controlled. Uncontrolled anger harms your reputation, destroys your relationships with colleagues or clients, limits your opportunities and even damages your health. 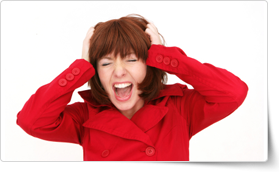 This Anger Management training course is one of the best ways to help you become aware of the causes of your anger, what triggers that unhealthy anger and the behavior patterns which lead to anger. By attending this course you will be provided effective techniques for controlling and overcoming your anger, how to avoid situations that create frustration and demystify this intense emotion. We welcome you to an Anger Management training course delivered in Hong Kong. This Anger Management Workshop training course can be delivered at your premises by one of our expert local or international trainers or live online using HIVE technology. "Very good course overall. The PD Training manual was ably supplemented by some of the teacher's own materials." This Anger Management Training program by PD Training will help teach participants how to identify their anger triggers and what to do when they get angry.